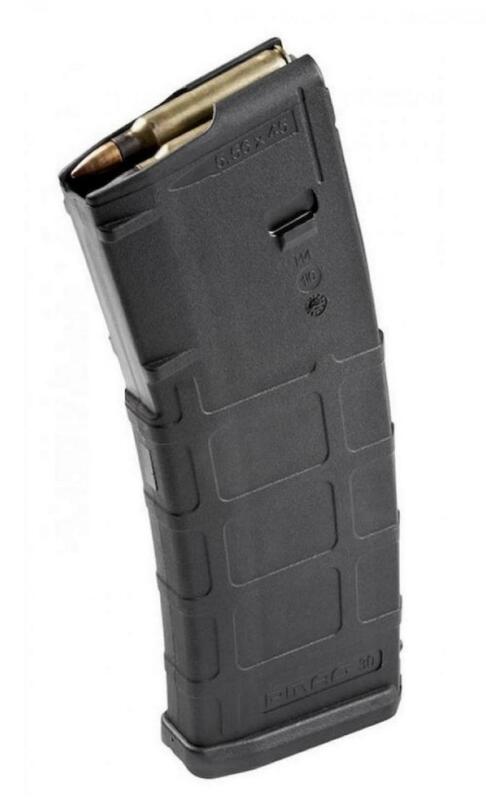 This genuine Magpul PMAG30 AR/M4 Gen M2 magazine has a 30-round, 5.56x45 NATO (223 Remington) capacity. It features impact- and crush-resistant polymer construction with constant-curve internal geometry for smooth feeding, an anti-tilt, self-lubricating follower for increased reliability and a USGI-spec stainless steel spring for corrosion resistance and field compatibility. It has a textured gripping surface and flared floorplate for positive magazine handling and easy disassembly.